Boxing is one of the few sports where a father and son can reach the pinnacle of the sport together. Many fathers have trained their sons since childhood and have seen them become world champions. Here are five of the best father/son duos in boxing (in no particular order). Kenny Porter has always been in his son’s , Shawn’s, corner. He has guided his son to two world championships, the IBF welterweight title which Shawn won against Devon Alexander in 2013, and the WBC welterweight title which he won against Danny Garcia last year. Kenny is known for being “no -nonsense” and is not shy about letting his son hear it when things are not going according to plan, as evidenced in Shawn’s recent fight against Yordenis Ugas. Jose Santa Cruz has always been a key member in his son’s, Leo’s, corner. He guided his son to the IBF bantamweight title in 2012, the WBC super bantamweight title in 2013, the to the WBA featherweight title in 2015. The Santa Cruz family received terrible news in 2016 when Jose Santa Cruz was diagnosed with Stage 3 cancer that required intensive chemotherapy and surgery. 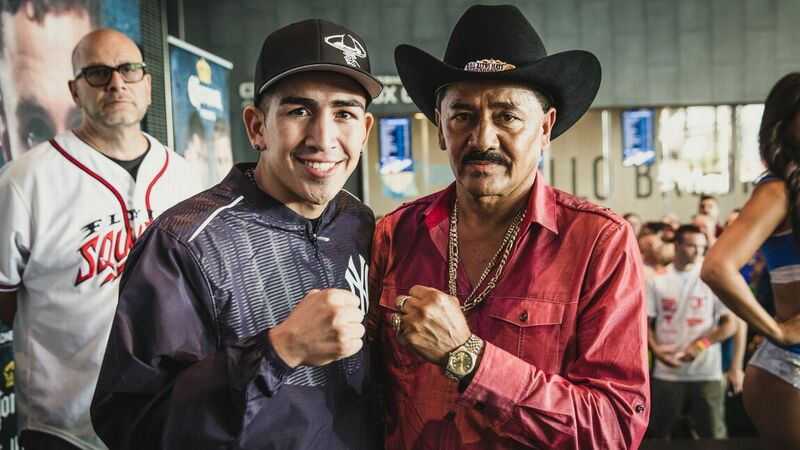 Despite his health issues, Jose Santa Cruz has continued to be in his son’s corner, showing many people what true grit and resilience is like. Leo repaid his father’s efforts when he put on an inspiring performance in his 2017 rematch against Carl Frampton, avenging his only loss and winning back his WBA featherweight title. The Danny / Angel Garcia duo has been a staple in boxing for over half a decade. Angel has always taken the role of the outspoken, bold father and his son has almost always backed up his father’s words. Angel has trained Danny since he a little kid and has lead him to capturing the WBC and WBA Super lightweight titles in 2012 and the WBC welterweight title in 2016. It wasn’t until 2017 when Danny suffered his first loss, against Keith Thurman. Regardless, Angel has lead Danny to the highest levels of the sport, and that should be admired, regardless of what craziness comes out of his mouth. Vasyl / Anatoly Lomachenko have been together since the beginning. Known for his unorthodox training style, Anatoly has turned his son into a boxing juggernaut. He did not allow Vasyl to start boxing until Vasyl attended traditional Ukranian dance classes and then gymnastics. Together, father and son have compiled quite an impressive resume. Vasyl won gold in the 2008 Olympic Games in Beijing and again in the 2012 Olympic Games held in London. Vasyl’s amateur record was an impressive 396-1. He turned professional in October 2013 and has compiled a record of 12-1 with 11 knockouts. He is currently the WBA Super Lightweight, WBO Lightweight and The Ring Lightweight titleholder. In 2017 Anatoly was received the Futch-Condon Award for Trainer of the Year by Boxing Writers Association of America (BWAA) and in 2018 by Ring Magazine. For more boxing news and analysis follow Eightcount.tv on Facebook, Instagram and Twitter.